Can't find the size, colour or style of plastic carrier bag you need? Let us quote you for a bespoke bag. 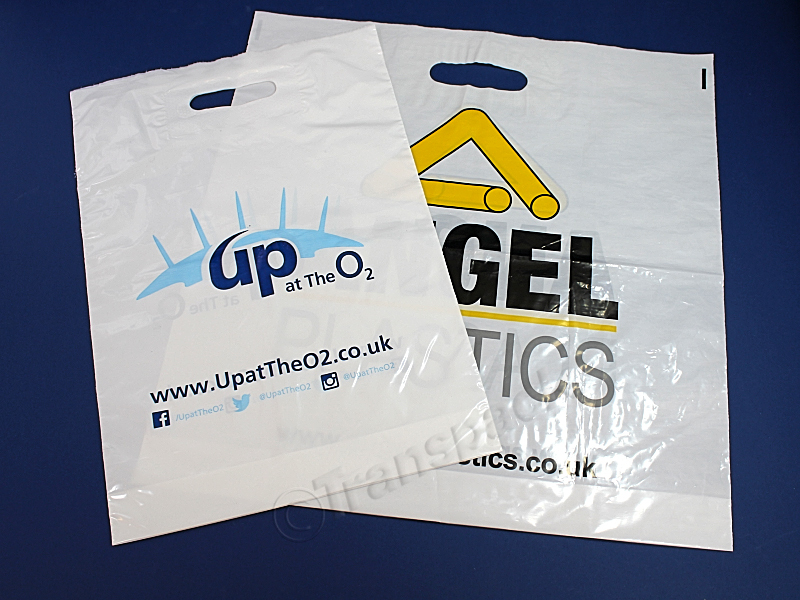 Printing your logo or company name on your bags is a great way to promote your business, let us know how many colours are in your design, how many sides you want to print on and we'll get a quote to you. Minimum order quantities will depend on the bag style and detail but could be as low as 500 bags. Lead times will be from 2-3 weeks but we'll let you know when we quote. Call us on 02380 869999 or fill in our contact form and we'll get back to you as soon as we can.